Honey & Oats smell so good! Our Oatmeal & Honey Soap was one of the first bars of soap we created, along with our unscented Pure and Natural Soap, to help with my psoriasis. More importantly It is one of your favorites! There is just something soothing about oatmeal and honey.. Is there anything better on a cold winter morning than a hot bowl of oatmeal? Or coming into the house at the end of the day and smelling fresh baked oatmeal cookies (I like mine with a little cranberry ). Don’t forget the honey, wonderfully naturally sweet, but with underlying complexity woven in. Just perfect for soothing a sore throat or stuffy head, or adding to your favorite recipe. As much as I love consuming these ingredients, imagine my excitement when I found out how good they are for my skin. 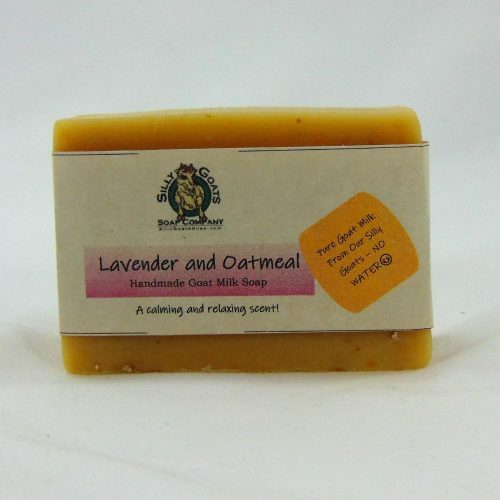 Oatmeal is a wonderfully gentle natural exfolient, and has long been used to soothe dry or itchy skin, but did you know that in addition to helping add moisture back in, that it also provides a layer of protection that helps prevent moisture loss? Honey is not only provides moisture rich natural nutrients to our skin, but it is also naturally anti-bacterial, and anti-microbial. Well we just couldn’t resist that combination, and know that once you try it, you won’t be able to either. 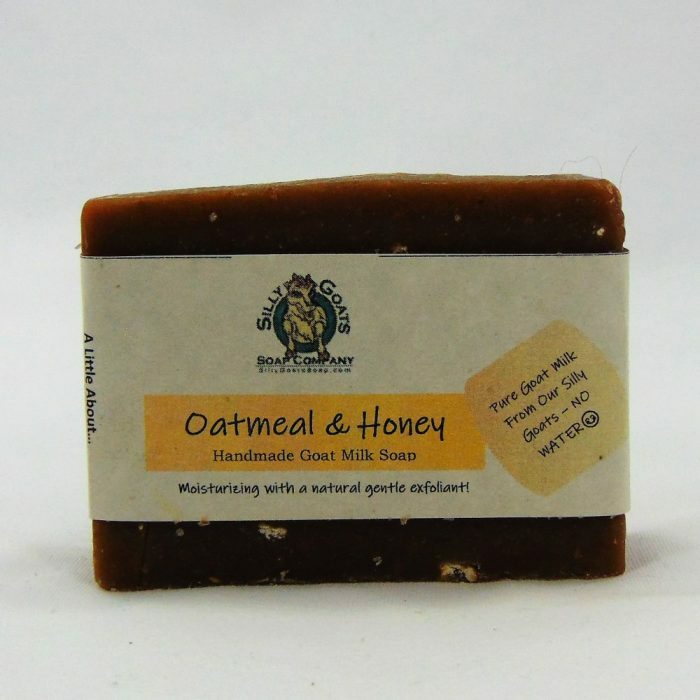 Milk Fragrance Oil; Oats; Honey. That’s It! Thank you for your wonderful products and always shipping so quickly! Back for more! thank you for such a wonderful product. 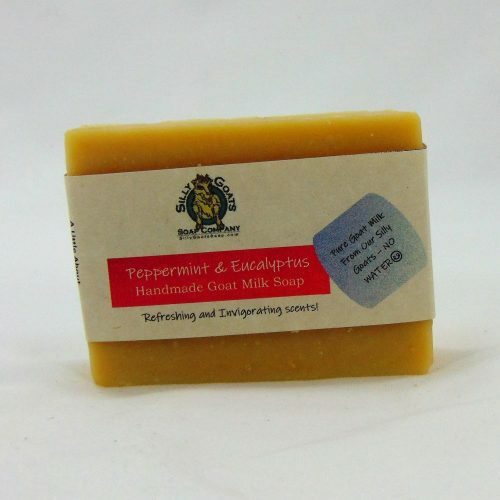 This is my first bar of goats milk soap and I am so impressed. I couldn’t believe how silky and rich the lather is. Feels squeaky clean but your skin feels soft not dry. I have four more to try, can’t wait! I will definitely be ordering again. 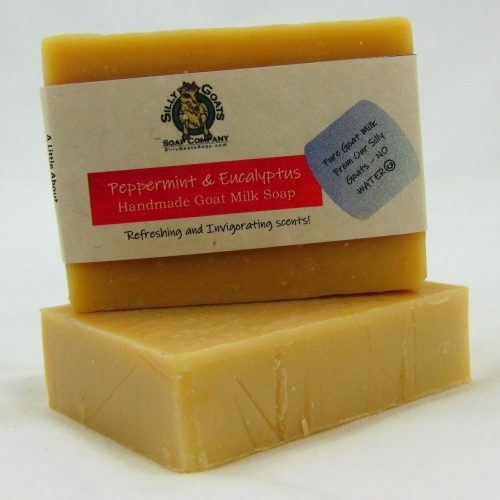 I did a bunch of research in goats milk products and am so happy I went with this company! I absolutely love the soaps, lotion, and oil free face moisturizer I purchased. I was so surprised at how quick and efficient my order got to me and I am in love with all these products! I have already started to spread the word and my co-workers have now ordered too! Thanks for making such great products!! Also purchased liquid hand soap and bar soap , just love it !!! Such a pleasure to receive everything so fast ! Your the best , your family story is beautiful and yay to your silly goats ! I’m planning on visiting your farm one day of course I’ll see what is good for you . Thank you so much for doing what you do! Blessed to have found you! 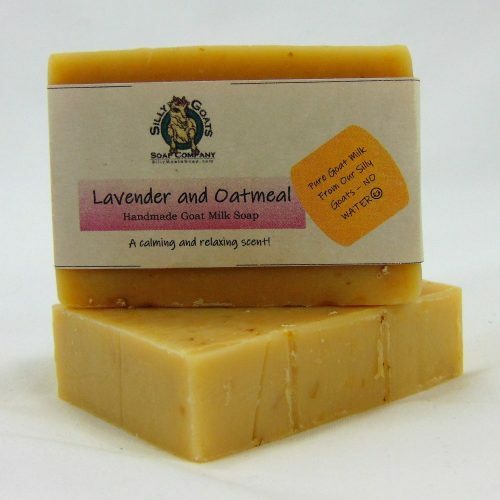 Love this Oatmeal & Honey scent. Such great soap, I love them! Scent is wonderful! It’s a gift so I’m sure it will be great! I love the facial wash soap which I purchased too! Lathers nicely too! Doesn’t dry out my skin. I received my order on time and the products were amazing! I will definitely be placing another order soon! Absolutely love this company. 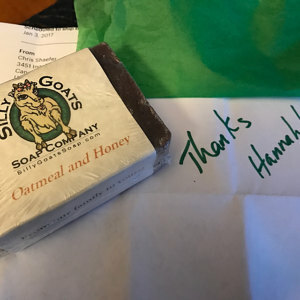 The fact that their soaps are homemade is one thing but they also take the time to hand write a thank you. I will continue telling everyone about this company & buying from them myself. I ordered from Silly Goats Soap because I decided I am going to try using only completely natural products on my skin during the winter months bc my hands crack and bleed all winter. So far this is the only of my purchases that I have tried and I must say that I absolutely love how it makes my skin feel. Time will tell if it helps my hands but I’m confident it will definitely be good for all of my skin. Thanks for an awesome product!! 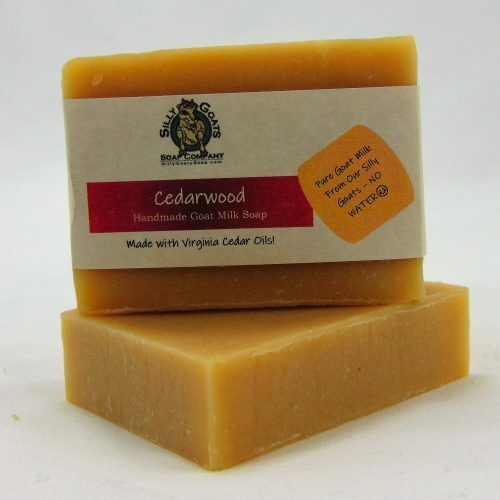 We received our soap order today and are so excited! I am most excited to try this one on my dry winter skin. So glad we can support upstate New York-made products!! Giving as a gift, smells great! Product is great. 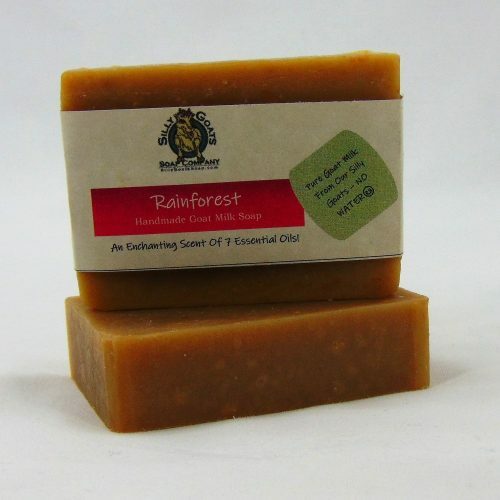 Smells good, lathers great. Only dislike is the brown coloring. I love love love this soap! The scent is AMAZING (that might be an understatement), it’s not over powering, not irritating (actually calming) to my eczema prone / super sensitive skin & it’s ultra hydrating! I can definitely see why it’s a top seller! Soft suds and nice light scent! 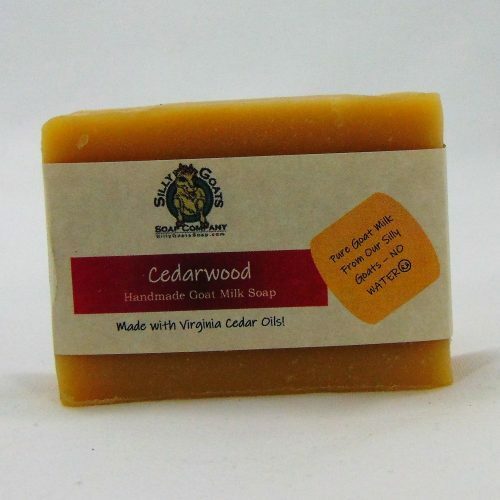 Hi Chris, Sandy and Silly Goats: I just placed an order for 2 more soaps and 4 more bottles of lotion. I am LOVING this stuff! Do you sell the lotion in larger than 8 oz. bottles? If so, Ill order larger sizes next time. This is the best smelling, most moisturizing stuff Ive ever used! Have a great day! One of my favorites for the shower! Love it! 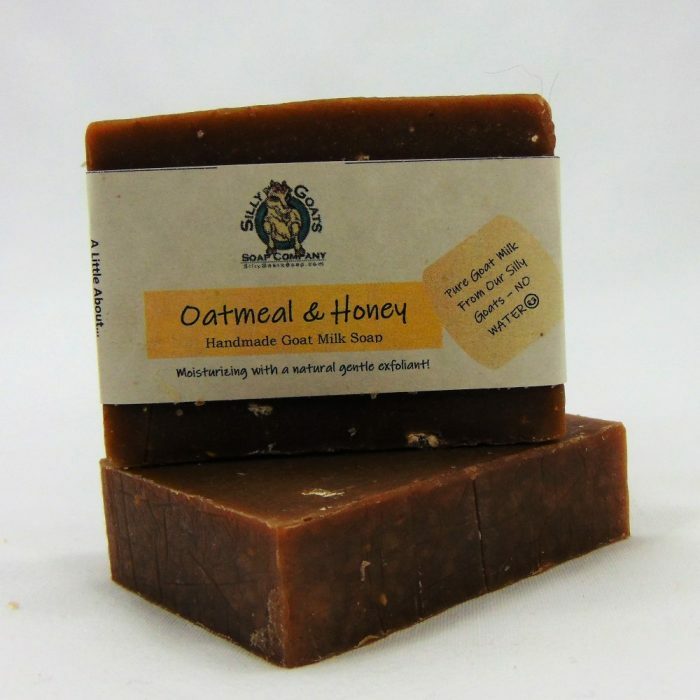 I received oatmeal honey bar soap as a thoughtful gift as I suffer idiopathic chronic hives. 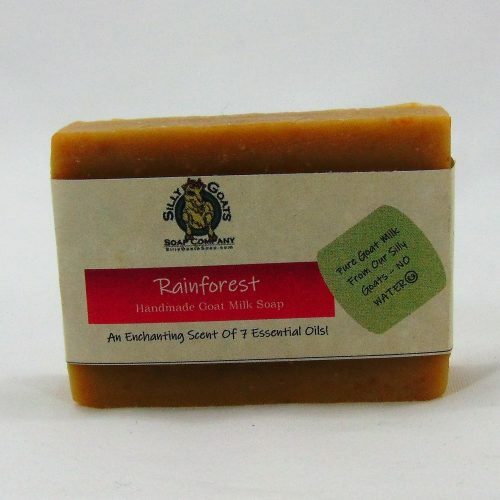 This soap is so gentle on my skin and doesn’t dry my skin out. I recommend this for you that experience sensitivity on their skin. I like this soap best for my facial cleanser. I think it helps remove dead skin cells and better prepares my skin for the moisturizers or other skin care products I use.